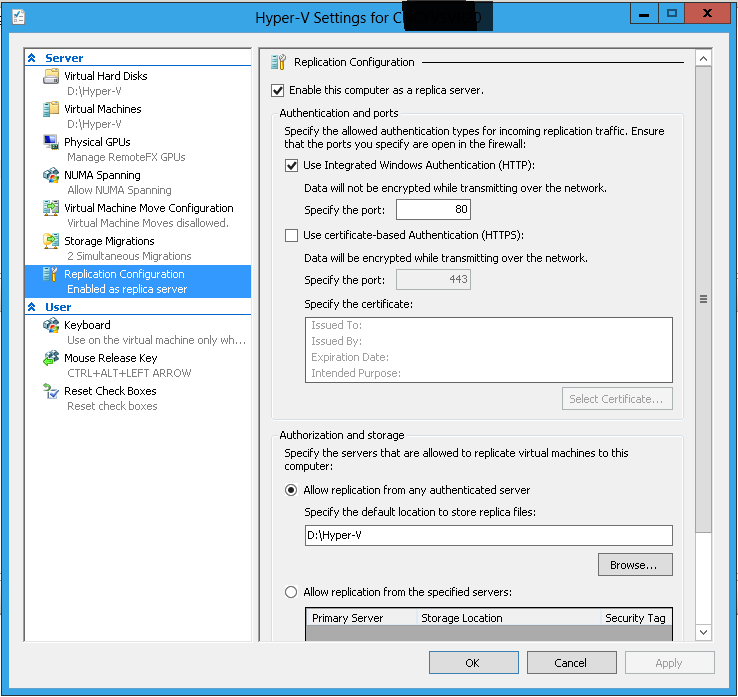 My advise for Hyper-V replica (if you are using it like me as a temporary solution to migrate from one datacenter to another) is to have a temporary migration LUN to replicate the virtual machines. After the migration you can then just delete the temporary LUN. Perform a quick storage migration to the corresponding LUN based on the operating system of the virtual machine. This are a lot of manual steps and a lot of waiting time as well!!! 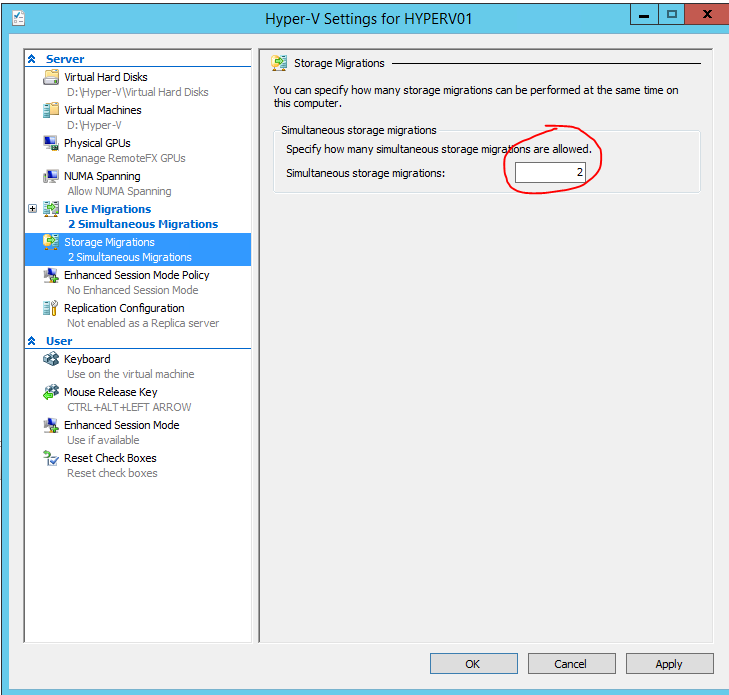 $MaxJobs is used to defined how many simultaneous storage migration your Hyper-V can take. If you want to know more about what this number should be have a look here. 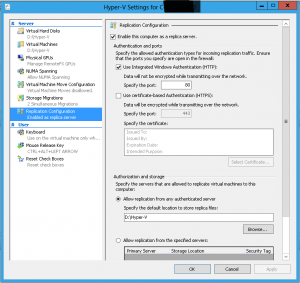 So if in Hyper-V you have configured a limit of 2 set the $MaxJobs to 2 as well. 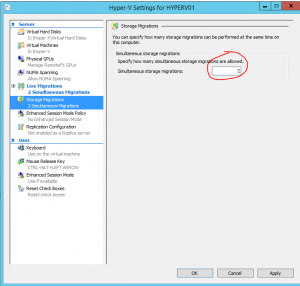 Storage Migration of VMM VM and also remove hyperv-replication if -removereplica is used. Generate a GUID for the JobGroupID variable. Add-Content $LogFile "Migrating $VM.Name not possible as OS is Unknown"
Add-Content $LogFile "Migrating $VM.Name from $VHDconf.VirtualHardDisk.HostVolume.Name to $lunclients "
Add-Content $LogFile "Migrating $VM.Name from $VHDconf.VirtualHardDisk.HostVolume.Name to $lun2012"
Add-Content $LogFile "Migrating $VM.Name from $VHDconf.VirtualHardDisk.HostVolume.Name to $lun2008"
Add-Content $LogFile "Migrating $VM.Name from $VHDconf.VirtualHardDisk.HostVolume.Name to $lun2003"
Add-Content $LogFile "No need to migrate $VM.Name"
Launch the script on your VMM server and that’s it!